On the nature, art, and science of great teaching. I've migrated over to a new, grown-up website, one that can evolve and expand as the release date for The Gift of Failure approaches (August 11, 2015). You can always find me at www.jessicalahey.com, the permanent URL for whatever I do, wherever I go. I will be adding some really fun features at the new site, including video, my speaking and appearance schedule, links to my other work, and announcements for all kinds of fun stuff leading up to publication day! 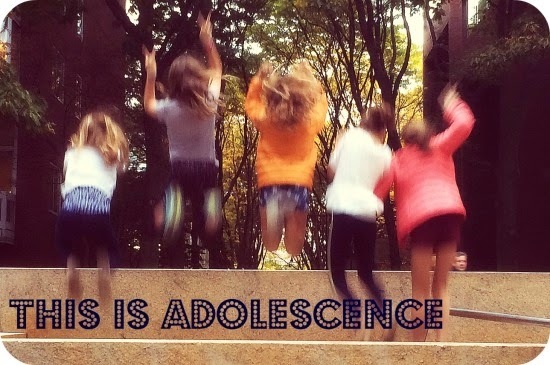 Welcome to the first in our series, This is Adolescence. "Eleven" comes from Lindsey Mead, who writes at A Design So Vast, "One woman's journey to right here." Follow her on Twitter at @lemead. In the last week of each summer, we traditionally spend a day at a beach north of Boston. Lately, these outings have felt like encounters with the tide. Last year we stood on a sand bar, marveling at the way it shrank under our feet as the tide came in. This year my children built a sand wall and watched it disappear under the onslaught of the rising tide. Eleven is like this. It is the last visible piece of childhood’s sand as the tide of adolescence comes in, inexorable, welcome, but bringing anxiety in its wake, too. That tide whose approach we watch with both wonder and fear will change the landscape forever. It will dismantle many things even as it makes space for new ones. Eleven oscillates between closeness and the distance I know she is supposed to be pushing for. Mothering an eleven year old is bringing to life all the academic study I did years ago about the mother-daughter relationship. I’m living that which I studied so closely, and though I understand what’s happening intellectually, it is still emotionally difficult. Eleven walks a neighbor’s puppy by herself. She is responsible and organized, and lets herself into the house I have never seen, collects what she needs, and returns the same way. It is a small universe that she controls by herself. She also sleeps with four stuffed animals, all of which are dogs. She wants to be a vet. Eleven can beat me in a set of tennis and can always, every single time, get a soccer ball past me. This summer we went for a run together for the first time and she left me in the dust. Eleven started running cross-country for her school this year, and I can’t watch a race without tears in my eyes. There’s something about watching her go, seeing her take flight, cheering for her sprinting towards the finish line, that makes me cry. A wise reader pointed out the metaphor that I can’t stop thinking about: she’s running away from me, and I’m cheering for her, on her team no matter what, even when I can’t see her. Though I can’t see the part of the race that happens in the woods, I can imagine it, based on my own experiences (of running cross-country as a high schooler, myself, but also of being an adolescent girl). Her path and my own feel interwoven, but that identification is largely in my head. The woods she’s running in, and the tracks she makes through them, are hers and hers alone. More and more, Eleven is in the woods. Her world is her own. I have less visibility into what she is doing at school and the use of email and instagram has allowed her to develop friendships I don't know as much about. I trust Eleven and we still have a lot of rules about internet access and social media, but I’m aware of her autonomy and growing privacy. This is just another manifestation of the separation that I know is healthy and right. This was Eleven’s fourth year at sleepaway camp but the first she was homesick. In the sagging middle week of her 3.5 weeks at camp, there were tearful phone calls and sad letters. Then, as the days towards pickup shortened, the mood brightened, and equilibrium was restored. I can't help thinking this was the last gasp of attachment before eleven pushes off for the other shore, for adolescence and young adulthood, for good. For now, I will curl up next to Eleven at bedtime and listen to her stories about her day and cherish every minute of time she wants to spend close to me, both physically and emotionally. I can see the tide coming in, and I know what it will bring with it. I’m still looking forward to what is ahead and trying to trust, that like on the cross-country course, though she’s about to disappear into the woods, she will circle around and come back towards me. She will have a smile on her face as she sprints towards the finish line, and she'll see me standing there, and I hope that will make her glad. 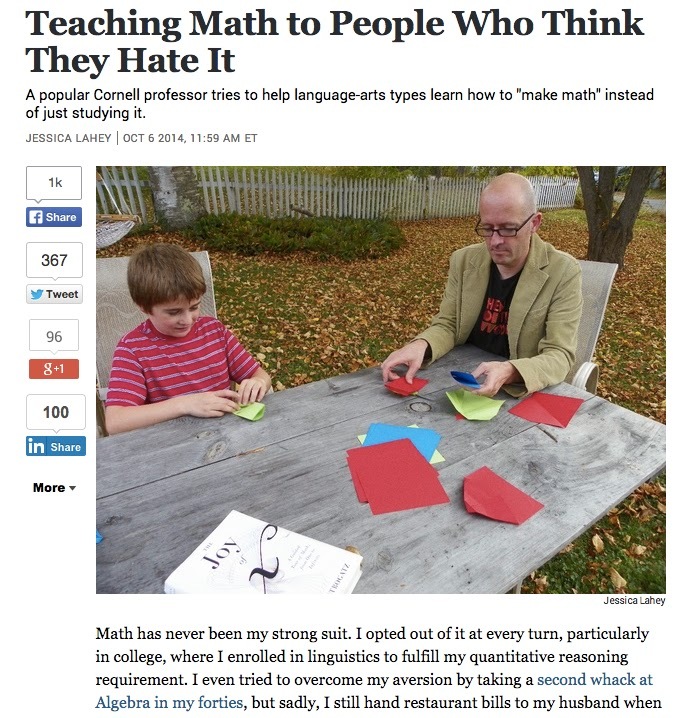 Response to the Atlantic article, "Teaching Math to People Who Think They Hate It," a look into Steve Strogatz's adventures teaching math to liberal arts majors at Cornell, has been lovely. I've received a couple of emails asking for more information about Discovering the Art of Mathematics, Julian Fleron and his team at Westfield State, so Steve and I thought it might be fun to post the rest of our interview, as well as a link to the scalene triangle straight-cut origami exercise described in the article (Chapter 3 of Discovering the Art of Mathematics: Art and Sculpture). Steve is a great interview; he loves what he does, and has a knack for explaining the details of that love to other people. I hated having to cut anything he said, but in order to make my word count, I had to chop, chop, and snip, snip. If you'd like to read Steve's work, and you have not read his "Elements of Math" series in the New York Times, I highly recommend that series of essays as a starting place. Be sure to start with the first one, "From Fish to Infinity." You can also hear him in his regular appearances on Radiolab. And with that, here's the rest of our interview, with a few liberties made for the sake of clarity. Lahey: What prompted you to teach mathematics to liberal arts majors? Strogatz: For the past few years I've been growing dissatisfied with the results of my usual way of teaching, which is lecturing. Although quite a few of my students seemed to enjoy my lectures, many of them weren't engaging with the material deeply. Just watching a performance, a lecture, and then doing homework, wasn't enough to get them to learn the subject properly, to master it. So I’d been toying with the idea of trying some more active form of teaching and learning, but I wasn't sure how to start. One day when I was at the big annual math meeting – the “Joint Mathematics Meetings” where the major mathematical societies come together in January – I was wandering around in the exhibition hall and came across an exhibit that caught my eye. There were three or four young professors from Westfield State who were encouraging people to play math games. They were handing out Rubik's cubes, getting people to play a game called hex, or tying knots, or even dancing and making knots with their own bodies in groups. When I took a closer look I noticed that they had workbooks strewn over their table. These were workbooks that they themselves had written for a "math for liberal arts" course that they'd been teaching for the past few years at Westfield State. These workbooks were so attractive, and so filled with interesting activities for students to do, that I started to think this could be a way for me to try teaching in a style where my students would be more active. When I talked with these faculty from Westfield State, I was struck by their passion for what they called inquiry-based learning. I found myself coming back to their exhibit, over and over again, over the next few days. I kept bringing other colleagues over to their booth to show them what was going on, to show them how cool and exciting it was. Something about it grabbed me. And I guess what really clinched it was when Julian Fleron, one of the faculty from Westfield State, told me that they had a grant from the National Science Foundation to spread their ideas widely through the math community, and that they would be delighted to come to Cornell to give us a workshop, to show us how to make this style of teaching a reality in our courses. That was an offer I couldn't refuse. So when the time came to choose courses for this year, I asked to teach a course that was already on the books at Cornell called "Mathematical Explorations." It turns out that a course in this active style of learning, this inquiry-based learning, already existed at Cornell and had been taught for a number of years. But I had only recently joined the math department, having spent the first 20 years of my career at Cornell in engineering. So the course was new to me. I asked to teach it. In mid-August the Westfield State folks came to visit us and give us that workshop. They showed us how to teach in this style, and how to assess our students’ performance, and also how to approach some of the psychological issues that come up with this population of students, issues like math anxiety and math phobia. They also showed us what it would feel like to be a student in such a class. My Cornell colleagues and I were the students, doing a paper-folding-and-cutting game; the Westfield State folks were our teachers. That was important since none of us had ever been students in an inquiry-based learning classroom. We needed to know what it felt like, to have the right kind of empathy for our students. Lahey: Your usual fodder, as evidenced by your Twitter feed, is higher math. Do you find teaching a more...elementary level of math interesting? Strogatz: Yes, I find it fascinating and thrilling. This population of students is unlike any I've ever taught before. The course I’m teaching fulfills our "mathematics and quantitative reasoning" requirement at Cornell. That's a requirement to ensure that all students in the College of Arts and Sciences are exposed to some minimal amount of mathematical thinking. As it turned out more than half of the students in my class of about 36 are seniors. In other words, they have been putting off this requirement for as long as they possibly could! It's what you might imagine – these are students who have had some unpleasant experience with math at some point in their education. For the first assignment I asked them to write their mathematical autobiography, detailing experiences that they had both good and bad in their math education up to this point. I also wanted to hear about any teachers who made an impression on them, positively or negatively, and what other subjects they're interested in and so on. I'm still reading through some of those autobiographies now but what's emerging is that many of the students liked math for several years. These are all very bright students but somewhere along the line they got discouraged. Sometimes it was because of a certain teacher or subject. In other cases everything was fine through high school, but when they took calculus at Cornell, something about that class turned them off. As for teaching at a more elementary level, well, first of all, math is interesting at every level. Elementary school math is just as interesting as middle school, high school, college, or graduate level math. I love thinking about the fundamentals! So the elementary nature of the subject is not an issue. Besides, what we’re exploring in this class is not particularly elementary! This week, for example, the week that you're visiting, we’ll be investigating ideas in abstract algebra (in the particular, the subject known as group theory) but we’ll be doing it in an unusual way (at least, unusual for a math class): we'll use dance to explore symmetry. Dance may be a bit of an inflated word for what we’re doing (in fact, I was a little intimidated to start teaching about dance, since I'm such a lousy dancer myself). What we’re doing is more like striking a pose. Or moving very slowly from pose to pose, while a partner tries to follow the leader in mirror-image symmetry, or rotational symmetry, or some other type of symmetry. I have to say that teaching this class has been a joyful experience in a way that no other class I've ever taught has been. I love teaching, and I certainly love teaching students who already enjoy math – don't get me wrong. But there's something remarkable about working with a group of students who think they hate math or find it boring, and then turning them around, even just a little bit. For example, the first activity that we worked on was what's known as “straight-cut origami.” Imagine a simple shape, say an equilateral triangle, drawn on a piece of paper. The goal is to cut out the triangle with scissors. Except that you're not allowed to cut out the triangle in the obvious way. Instead you have to fold the paper in such a way that you can cut out the triangle by making a single straight cut. For an equilateral triangle this turns out to be pretty easy and everyone can do it. But if you pick a general triangle – a scalene triangle, meaning one where all three sides are different lengths – then figuring out how to fold the paper in such a way that you can cut out the triangle with a single straight cut turns out to be very difficult. Or, at least, not obvious. I had trouble with it myself for quite a while the first time I tried it. So while we were working on this in class, with the students seated at tables of four, all discussing the problem, showing each other their ideas, things that had worked or not worked, after they struggled with this for about a half-hour it turned out that only one student out of 36 was able to do it. So at the end of the class, when I noticed that there were only about five minutes left I asked "Would you like a hint?" A few students immediately said yes, but then they were drowned out by the rest of the class, which said no! I was so proud of them. They were having a true mathematical moment. That is, they were deeply engaged with a puzzle that made sense to them, and they were enjoying the struggle, and no, they did not want a hint! They were feeling what anyone who loves math feels, the pleasure of thinking. The pleasure of wrestling with a problem that fascinates you. No one in the class was asking, “what is this good for?” Or "where will I ever use this?” Those are questions that students ask only when they are not engaged. Lahey: There has been a lot of talk lately about approaches to teaching math, particularly as it relates to the Common Core State Standards. Do you have any thoughts about the "critical thinking" approach versus the traditional route toward mathematical fluency via math facts and rote execution of concepts? Strogatz: On the whole I think we usually go too fast in our teaching of math. There's a big rush to cram all kinds of information into the students’ heads, and get them fluent with certain procedures, at the expense of their understanding what they're doing. But let me be careful here. It's so easy to cast this discussion in black and white terms, to make one point of view seem ridiculous and the other obvious. I don't want to do that, because of course you need to memorize certain things and of course you need to have an understanding of what you're doing. It'll probably sound like a wishy-washy answer, but I really want both. I want my students to memorize and know basic facts, and I want them to understand what those facts mean, why they're important, where they come up in the real world, how to calculate efficiently and easily with them, how they developed historically, what their connections are to the arts and humanities and sciences and engineering, where they pop up in daily life and in the universe. I want it all and I think students want it all too. If we just stick to teaching them rote procedures, math becomes meaningless. That's how it's experienced by many people. So I'm definitely against that. But likewise if we only teach conceptual approaches to math without developing skill at actually solving math problems, students will feel weak. Their mathematical powers will be flimsy. And if they don't memorize anything, if they don't know the basic facts of addition and multiplication or, later, geometry or still later, calculus, it becomes impossible for them to be creative. They can't take the first step, because they have to rely on their graphing calculator, or look something up in a book. That makes for a student who can never achieve the greatest pleasure or success in math, which is to be inventive, to think of things for yourself. It's like in music. You need to have technique before you can create a composition of your own. But if all we do is teach technique, no one will want to play music at all. Nothing I'm saying here is very radical or surprising to anyone who actually understands mathematics (or any other creative endeavor). If you want to be a great soccer player, you can't just do drills. You won't even want to play soccer if you're just doing drills all day. You have to get out there and play the game, and learn from your mistakes and then practice. Drills have their place, and so does playing the real game. We do too much drilling in school, and not enough playing of the real game of math. And as with any game, or playing music or making a piece of art, it's doing the real thing that's inspiring. We need to give students more of a chance to do that. And that’s what I'm trying to do in this class. They are actually making mathematics -- in many cases, for the first time in their lives. And they’re loving it. And why wouldn't they? It’s a joyous, glorious experience. At every level. Little kids can make math. It may be the mathematical equivalent of fingerpainting, but it’s still math. Genuine creativity is required at every level. What an amazing week I've had. I secured a last-second invitation to the Clinton Global Initiative annual meeting (as press) and scrambled to cobble together childcare (thanks, Mom!) and a substitute teacher to cover my class (thanks, Mark!) so I could attend, and cover a great education story that was embargoed until the last day of the conference. My plan was to show up, shut up, listen, and learn. Mission accomplished. Well, save for the shut up part, I met some hysterically funny journalists and we had a lovely time tweeting the conference and mocking each other's clothing choices. Related: you should start reading The Dodo, a "celebration of animals" site - their rights, their value, their stories. I've already retweeted a whole bunch of their posts (Albino orcas? Clouds on weather radar that turn out to be swarms of butterflies? I'm in) and am a new fan, both of The Dodo and a member of their community, David Becker. Follow him, @notadolphin, on Twitter. He's hysterical. I'm struggling to recount the amazing things I saw and heard this week without sounding braggy or starry-eyed, but trust me, I'm simply in awe that I got to be there and bear witness. There are the obvious things - yes, I spent a lot of time in the same room as Bill, Hillary, and Chelsea Clinton (it was a BIG room). President Barack Obama spoke to us immediately after he ordered airstrikes on Syria, and yet managed to create a sense of unity and purpose in a room of people divided on his actions. I looked over to my right during a taping of a CNN segment, noticed Julia Ormond was a couple of seats over from me, and realized she was present not for the star thing, but to learn and advocate for farm workers. Yes, I got to watch Matt Damon rescue a moderator who had allowed a session to go painfully off-schedule with incredible kindness and skill. At one point, Madeleine Albright was just standing there, in the middle of a hallway, as if she did not even know that she's f-ing MADELEINE ALBRIGHT. Aloe Blacc, The Roots, Eva Longoria (her dress wasn't too tight; she was clearly nervous), Jason Mraz, Leonardo DiCaprio, Randy Jackson, Raining Jane, Seth Meyers, Natalie Merchant, Ashley Judd, Tony Blair...yes, I was there for all of that, but here are the highlights of my week, the moments that touched me, challenged me, moved me. At the top of my list is Leymah Gbowee, 2011 Nobel Peace Prize Laureate and the President of the Gbowee Peace Foundation. To understand the power of this woman, watch the documentary Pray the Devil Back to Hell. You can see it here, on PBS. At the very least, watch her interview on the Daily Show. On fear: "It's not that I'm not afraid at times, but I never allow fear to stop me." On living a life that will have value to the world: "I tell myself always that there are two options in life: to live and die, and everyone will come to that place. You will die at some point. Do you want to die, and there's no one looking around and saying, 'Oh! Did she die?' I want to die, and then that morning, when the announcement is made, everyone will be like, WOAH. This is a loss for the world." On helping men understand the practical value of educating their daughters: "Ask them, 'How many men in this village have daughters who never went to school?' 'Ten.' 'What is their lifestyle, what is their economic situation?' 'How many men in this community have daughters who went to school?' 'Five.' 'Oh - what is their lifestyle?' 'Oh, that man? He owns a car, he goes on vacation!' That is the value of sending your daughter to school. It's not rocket science." Here's the video from the session, CGI 2014 Plenary: Equality for Girls & Women: 2034 instead of 2134 (scroll down a bit), if you'd like to watch yourself. Go to 1:36:00-ish. As for me, I've downloaded Leymah's book, Mighty Be Our Powers, and will be listening on the bus ride home today. Leymah. Sigh. I'm going to be thinking and talking about her a lot in the days to come. I may even use a section of her book tomorrow morning in my English and writing class. Maybe an exercise in writing autobiography... a 'what is your power?' kind of thing. I think Stephen King would approve. Finally, here's the video of the closing plenary, "Aiming for the Moon and Beyond," which was fantastic. However, if you are short on time, go to 1:23:10, and listen to the last two minutes. I don't think I breathed during the last minute or so, and when I looked over at the journalist next to me, she was weeping. We were tired, on inspirational overload, and yet, that final minute managed to synthesize and articulate everything we'd seen, and everything we'd like to be, in a perfect moment I won't ever forget. I do a lot of speaking, I never take that honor and responsibility for granted. I get to do what I love because people regularly pay me to stand at the front of a room and teach them things. That's still amazing to me. Yesterday, I got to stand before an audience of a couple of hundred people who had taken two hours out of their busy lives to learn more about education in this country, and that is an beautiful thing. I have no idea what I looked like up there on stage - I hope I appeared composed and calm, because inside, I was bonkers. In the two hours preceding the event, I'd had my own, private Gift of Failure experience. In the interest of viewing every failure as an opportunity, I'd like to take a moment to pass on a few things I learned from my many failures yesterday. 2. There is a police car parked at every corner in Newark. I have no idea how many police officers the city employs, but it's a lot. And they are all waiting for drivers to try to make a turn off of these turn-less streets to nowhere. Especially the ones with New Hampshire plates. Here's the URL for a handy way to pay traffic tickets online, by the way. 3. The people of Newark are lovely. To the fifteen people I spoke with in search of the Holy Grail of Newark (AKA public parking, see point number 4), you are a beautiful, merciful, and kind people. Good Samaritans all. At the very least, you offered up your pity, which was nice, in its own, quiet and sad way. 4. 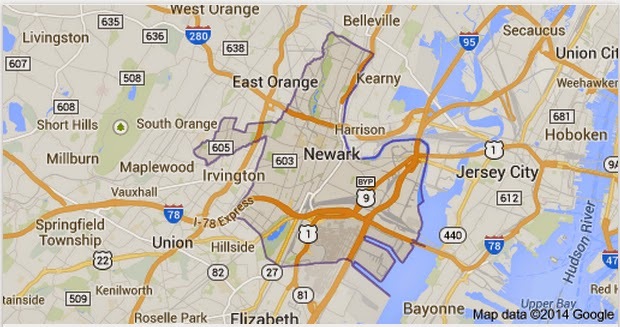 It only looks like Newark has parking. This is a tantalizing mirage; do not be fooled. I can only speak for my own experience at lunchtime on a Wednesday, but as far as I can tell, Newark only contains "LOT FULL" parking areas, staffed with employees who are very good at the finger wiggle that signifies, "Don't even THINK about pulling into my lot, lady, because I already have six cars too many in here." 5. Even when an event is professionally managed, make sure they have reserved a parking space for you. 6. And that you know where the company parking lot is. 7. And that you have a direct line to the person in charge of the event and the number for the security desk and the number for an alternate person who can call down to the parking garage to insist, yes, it's okay to let the nice, sweaty, nervous lady into the parking garage even if her name is not on the list. 8. They don't let you in to some parking garages when your name is not on The List. 9. Parking garages have security cameras that you will only notice after you have pulled down your pants between two cars in order to change out of your comfy driving clothes and into your not-as-comfy speaking clothes. 10. Sometimes parking garages have no pedestrian exits. True story. 11. I may be late to the party on this one, but high heel shoes have metal in them. Just enough, apparently, to set off metal detectors, so even when you are in a hurry, and you have already been through the metal detector three times, twice without your glasses, they are still going to ask you to "step to the side, and wait for someone to do a manual scan." 12. When all of these things happen to you, you need to take a deep breath before shaking hands with the person who hired you. He or she deserves your best, speaker-ly, pleasant (if sweaty from running six blocks in metal-filled heels) self. Wait until after the event to share your story with a sense of humor, have a few good laughs with the event director over the irony that yes, your book is indeed called The Gift of Failure, and, see what you just did there, learning from your own failure? Finally, thank them so much for having faith in you, as you silently resolve to leave three hours of wiggle room - not two - before your next event. 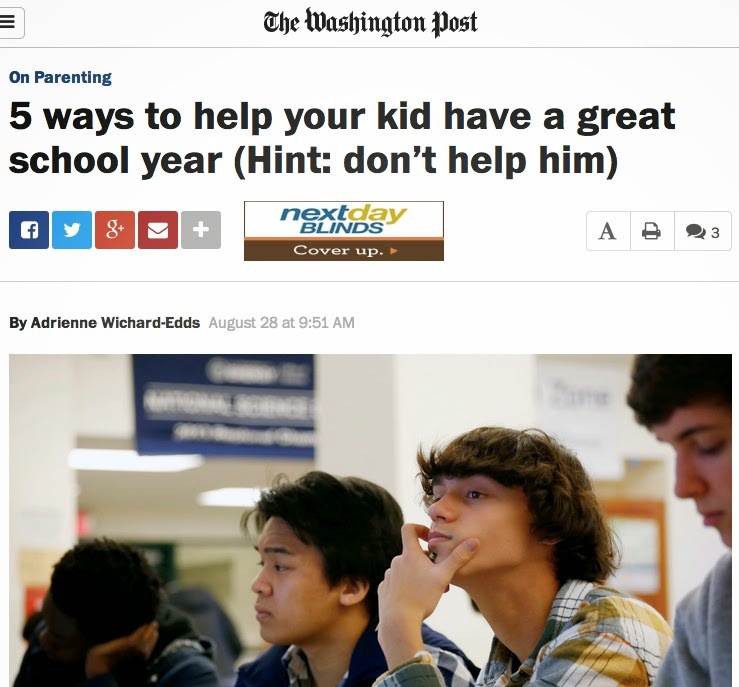 Huge thanks to the lovely Adrienne Wichard-Edds for a really fun interview about THE GIFT OF FAILURE and ways to help your kids have a great school year for the On Parenting blog at the Washington Post. You can read the article here and you can follow Adrienne on Twitter at @WichardEdds! Questions for The New York Times' "Parent Teacher Conference"
Jess on the Today Show Talking "Overwhelmed"
Jess in "50 Best Back-to-School Articles for Parents"